Summer is here! It's time to join us for Summer Camp. Please contact us for more information and to sign up. Silver Wind Farm near Clermont, Florida, just outside of Orlando, provides horse riding lessons for youth and adults, board, and Arabian Sport Horse sales. Come join us for a wonderful learning experience. Our main goals are to teach you how to correctly ride, how to properly take care of horses, and to have fun; in other words Horsemanship. During the fall, winter, and spring we attend monthly "fun" horse shows where you can really shine, win awards, and (you guessed it) have fun. Our students do exceptionally well at the shows with an awards ceremony at the end of the year. In addition we have SilWin Miniature Schnauzers that we breed and show. They are a quality line of Miniature Schnauzers that we offer for sale. We specialize in White Schnauzers, but frequently have Black & Silver, and Black as well. If you are interested in "toy size" check with us about availability. This is a family run horse farm located in the beautiful rolling hills of Lake County just north of Clermont, Florida. We have over 30-years experience in providing lessons and horse care. Silver Wind Farm promotes and encourages children and adults in the wonderful sport of horse riding and horsemanship. We believe learning to ride is more than just sitting on a horse and telling it which way to go. When riding, you and the horse should be a team, working together with the horses body. Your safety as rider is our main priority. We have a wonderful new litter born April 3, 2016. They will be available at 8 weeks. 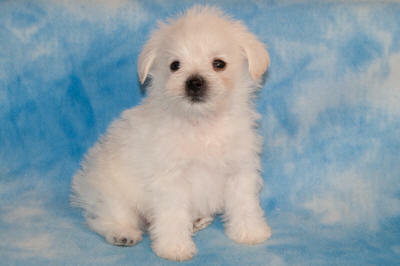 To find out more click here for SilWin Miniature Schnauzers. Hi! My name is Ike. I'm a fun loving boy and love to give "kisses". You can see more of me and my brothers and sister by clicking here. WHAT SILVER WIND FARM HAS TO OFFER! 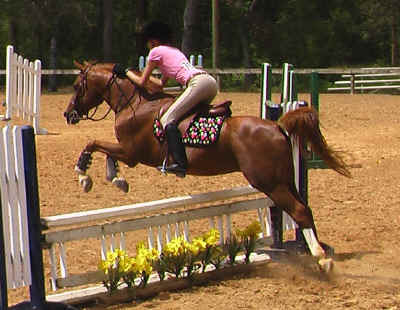 Riding Lessons: in the Sport Horse disciplines of Dressage and Hunter/Jumper. Adult and youth beginners are welcome. Click here for more information on riding lessons. Horse Boarding: We offer In-Barn Full board, and Paddock board with or without a stall. Click here for more information on Horse Boarding. Horse Sales: We offer Arabian and Arabian cross Sport Horses and Sport Ponies. Click here for more information on our Horses for sale. Breeding Services: We offer breading services to our fine Stallions, including our award winning Arabian SW SUN DANCE+++// and our Section B Welch Stallion Dragons Lair Crown Royal. If you are looking for an excellent stallion for your breeding program then check out our stallion page. Unless otherwise noted all photos are property of and copyrighted by Silver Wind Farm, Inc.